Is it time for you to move from manufacturer representatives to an in-house sales solution? 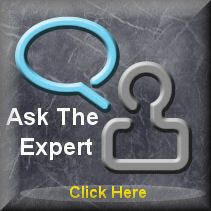 I have the experience in both inside and outside sales to help you choose the best solutions for your business. There are a lot of decisions to be made around the job description, best practices, sales compensation, metrics and measurements, and skill set before the first employee is hired. I have spent 1/2 of my sales career turning around sales departments and sales teams that have lost their way - You can't always blame it on the economy, call me for an independent analysis of your current sales team or the new sales team you plan on developing. 20+ years of sales and sales management has given me the unique opportunity to truly study and perfect the sales process. I have the unique ability to transfer my sales skill to your sales team by attending and leading some of your current sales meetings. CLICK HERE to review our Atlanta Sales Training program. CLICK HERE to review our new approach to training your sales representatives. 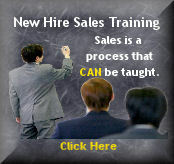 CLICK HERE to review our new hire sales training. CLICK HERE to review our telephone sales training. CLICK HERE to review our web based sales training. Click Here to review our Direct Marketing, Mary Kay, Avon sales training. Individual Representatives: If you have team members that need a more intense look into their individual sales process then a one-on-one sales coaching experience is probably more effective than a formal sales training. The reason is individual sales representatives tend to have specific habits that need to be evaluated and in many instances - changed. 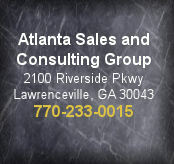 Atlanta Sales and Consulting will coach your individual sales reps while they are on the job. Our goal is to be there when they are making their calls. We want to hear the inbound and outbound phone conversations and we want to be standing right next to them during their face to face meetings with their prospects. Click here for more information. This isn't the complete list but... you get the picture. New Sales Managers need intensive 1-on-1 coaching. If your current management structure does not have time built in to teach the above skills to the newly hired Sales Manager then hire Atlanta Sales and Consulting to help your Sales Rep make the transition into Sales Management. Click here for more information. Difficulty Ranking - How hard and expensive will the term be to get? SEO Traffic - Is this a term even worth attempting? PPC Campaigns - With some keywords it is more cost efficient to run a PPC (pay per click) campaign vs. a straight small business PR campaign. Time to Rank - How long will it take to achieve your search engine ranking? Other Keywords - Are there other keywords we should be targeting? Article Writing / Blog Post for SEO Support - This group supports your current SEO work by producing articles, blog posts and press releases. Most of my sales consulting surrounds helping small businesses achieve better organic rankings within the major search engines. We have a PR department setup specifically for small businesses. We then post this PR work on very large websites giving your company the title of "subject matter expert" on the keyword phrases you hope to achieve. We don't just write one article or one press release we write at least 100! We will build you multiple Web 2.0 properties to increase the footprint that your business needs to have on the World Wide Web. We then support those multiple Web 2.0 properties with our PR work of article writing and blog posts described above. What your business receives are multiple web properties EACH driving INBOUND phone calls to your one location. We can tackle the most difficult industries that were, until this program became established, too expensive for the small or medium sized business person. Now these multiple Web 2.0 properties can be done efficiently and cost effectively. Click here to learn more about local lead generation. If you have a small or medium size business that doesn't use the Internet or your search volume on the Internet is too small to make an impact then Atlanta Sales and Consulting has the perfect local lead generation program for you. We have the ability to make 1,000s of OUTBOUND B2B and/or B2C phone calls on your behalf. All outbound call projects are priced at a cost per lead basis. We can generate as many local leads as your company can handle! We can create appointments and we can do pre-appointment calls to make sure that your lead will be there at the appointed time. Atlanta Sales and Consulting will produce a recorded record of the call so you can listen to the prospect. You will have all of the information available to you that was spoken during the outbound call BEFORE you reach that appointment. Better Information = Better Qualified Leads = MORE SALES!